Digital downloads are helping to offset the decline in UK music sales, says music industry body the British Phonographic Institute (BPI). Legal downloads accounted for 2.1 million of the 60 million albums we bought in the first half of 2007, even though total album sales were down 8 per cent from the same period in 2006. 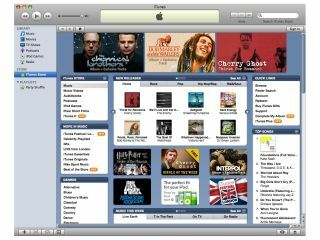 Digital downloads are also helping to breath new life into the rapidly decomposing corpse that is the singles chart. The BPI says downloads accounted for 36.4 million single sales in the first half of 2006, hitting 90.1 per cent of all singles sales last month. "The first half of the year saw digital album sales grow rapidly. Album bundles with extra tracks, videos and sleeve artwork offer excellent value-for-money for consumers, while iTunes' variable pricing on album bundles and 'complete my album' facility have all helped drive album sales," the BPI says. The BPI also says that the UK music industry is in rude health, bucking the prevailing trend in the music biz worldwide. "UK music fans are the biggest CD buyers per head in the world, and the market has now recorded annual sales of more than 150 million units for four years running." "Album units have dipped year on year, but we are still selling 32 per cent more CDs than 10 years ago," the BPI says. One of the biggest U-turns in music sales has been the rise in sales of vinyl. The BPI says this is particularly strong in 7-inch singles where sales have risen from 200,000 units in 2000 to 1-million in 2006. Sales of 7-inchers have also risen 12.9 per cent in the last 12 months, with The White Stripes' Icky Thump the bestseller.